A renovation and small addition transformed a modest storage structure into an inviting guest cottage. 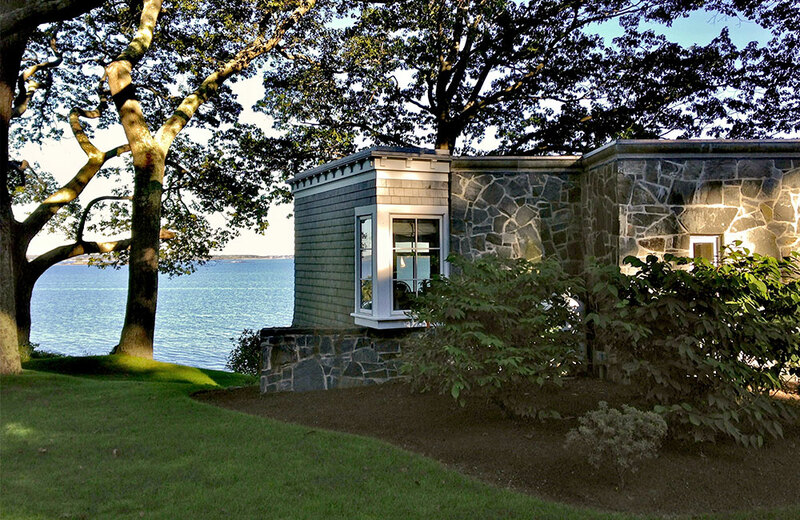 Originally a garage, it was constructed on a bluff overlooking a small sand beach. 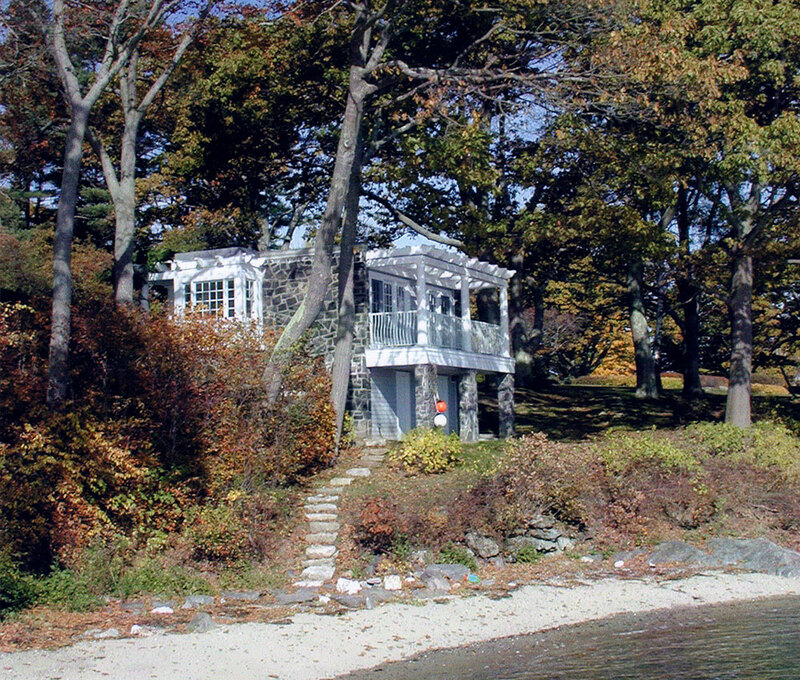 Under strict shoreland zoning regulations, the structure’s close proximity to the water severely restricted modifications to area and volume. The architect’s response was to take a subtractive approach. A portion of the volume was removed to create an entry porch with trellis work above supported by decorative columns. An existing overhead door was replaced with a false carriage door as a nod to the building’s past. 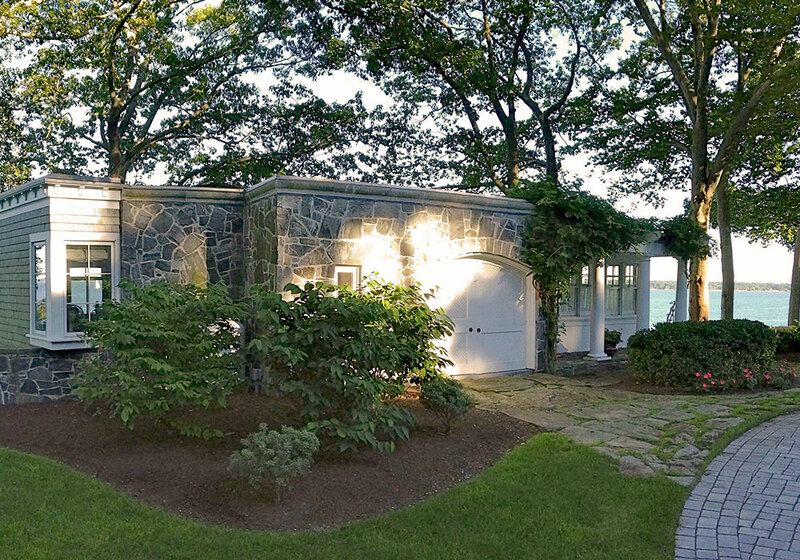 The entrance opens to a sitting room with large French doors to the east revealing views to Casco Bay. 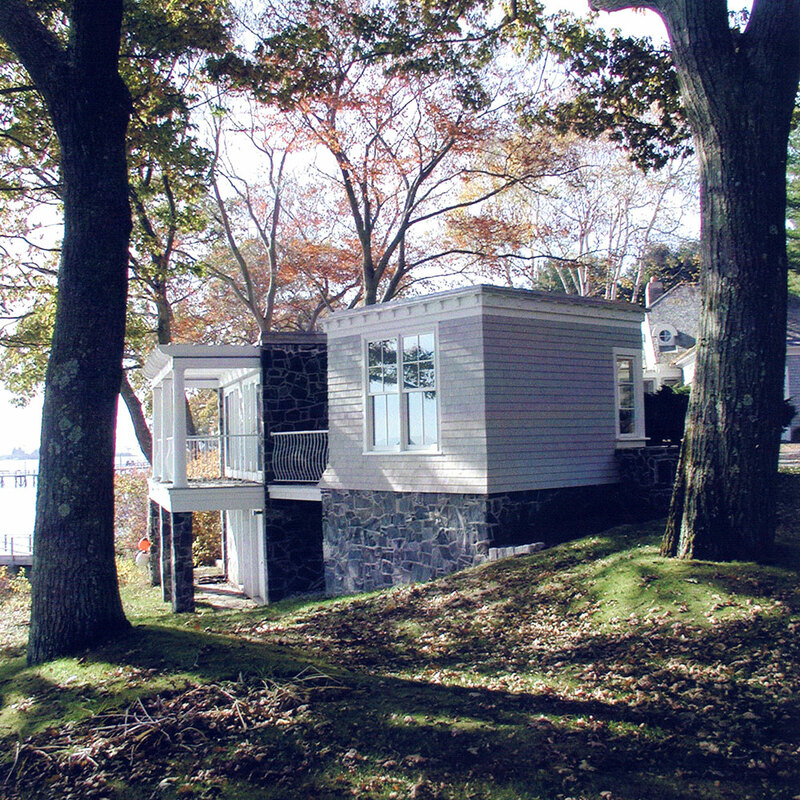 The doors open to small deck.The south wall features a kitchenette and a dining nook surrounded by windows with views to the water and the main house. A fireplace and TV are located on the wall opposite to the north. A bedroom addition is located behind the fireplace. 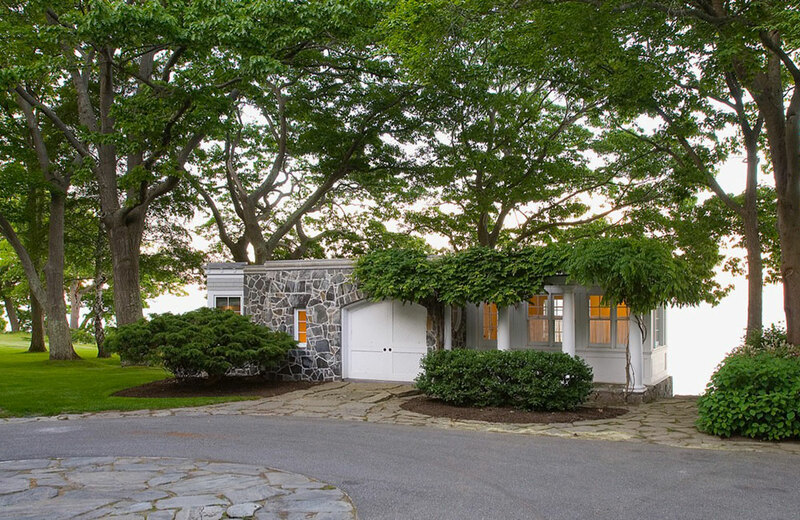 The footprint for the addition was rotated so that two large oaks would frame the room’s water view.